What's the Difference Between Agave and Aloe? 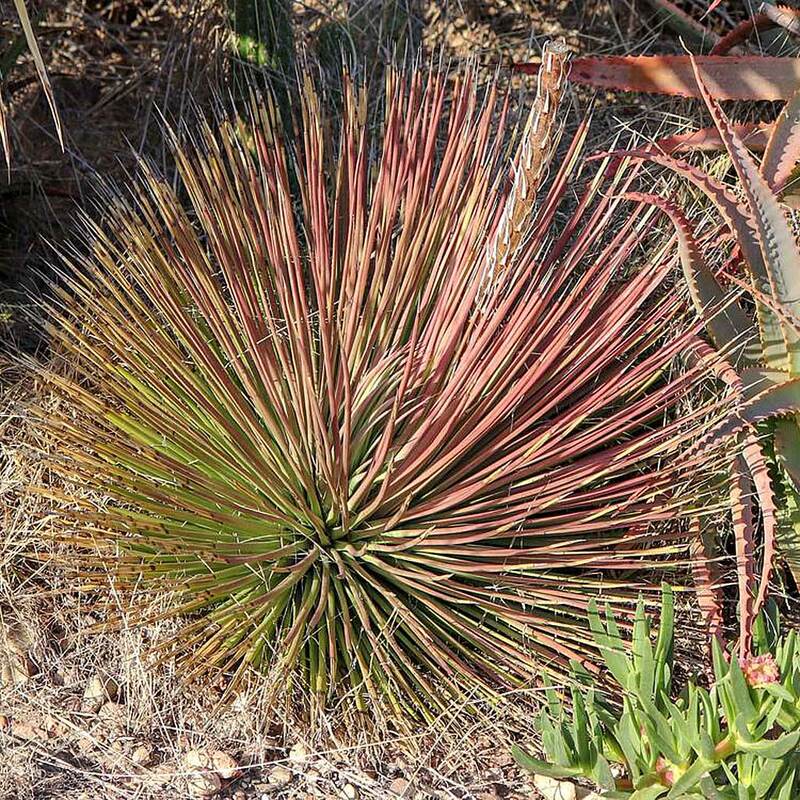 Aloe and Agave are two genera of drought-tolerant succulents that have similar appearances and care needs. The similarities arise because both adapted to live in hot, dry climates. Aloe and Agave, however, are not closely related and the similar climates in which they evolved are in different hemispheres of the world. Here, we'll take a look at the characteristics that distinguish the two groups. Aloe and Agave are sometimes described as "Old World" and "New World" plants. 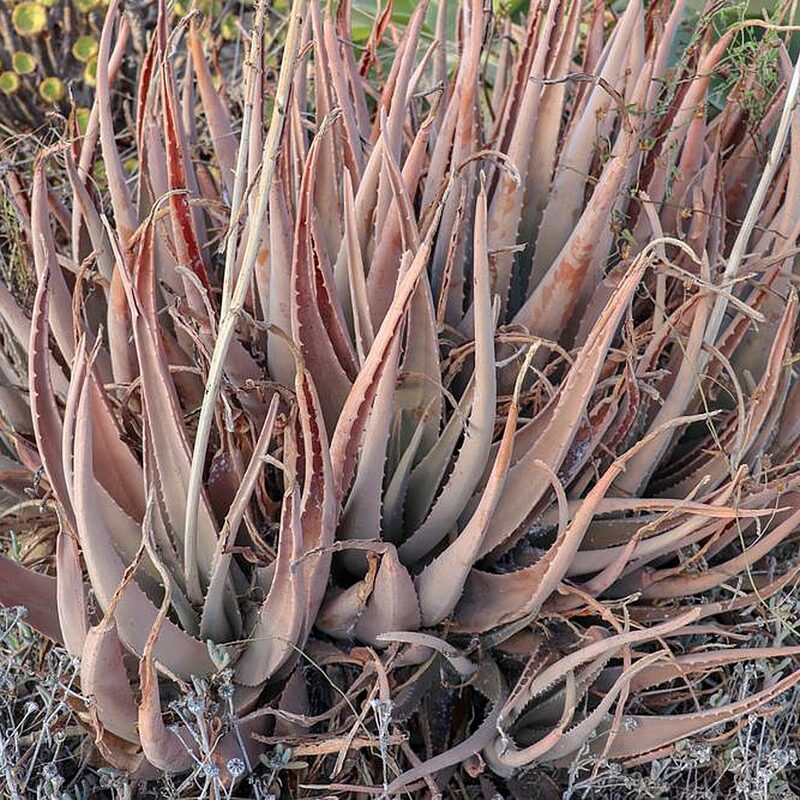 Aloes originally evolved in Africa, primarily South Africa and Madagascar. Agaves, however, hail from the Americas, mainly Mexico and the southern United States. Both groups are now cultivated in dry regions the world over and smaller varieties like Agave 'Bon Petite' and Aloe vera make exceptional potted house plants for succulent lovers in all climates. It's easy to confuse Aloe and Agave at first glance, but there are some typical physical differences that can point you in the right direction. 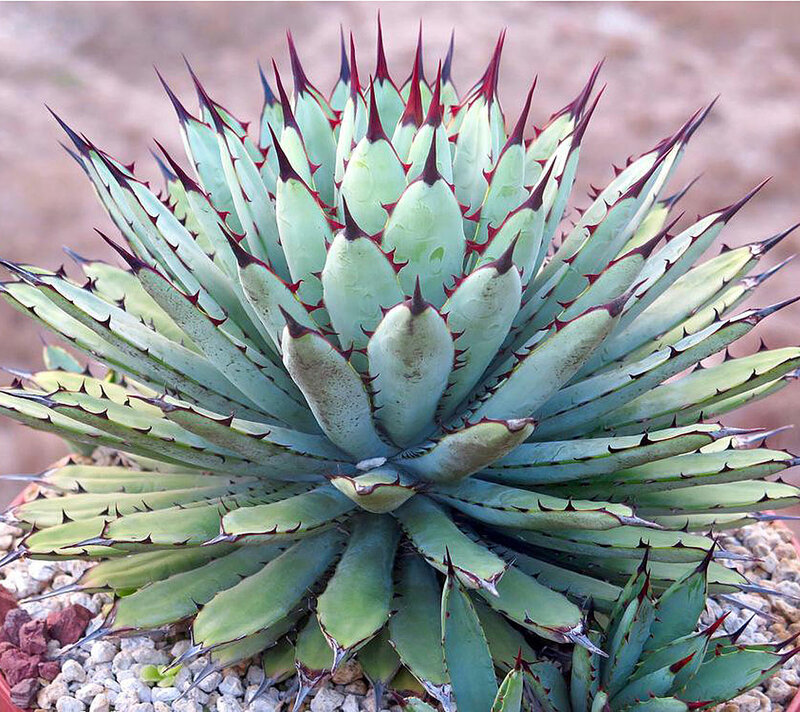 For the most part, Agave are larger and spinier than Aloe. The spines on agaves are often painfully sharp, whereas the "teeth" that sometime line Aloe leaves are usually soft to the touch. For a sure-fired diagnostic, try snapping a leaf in two. An Aloe will break easily, giving you access to the gel stored inside. Agave leaves, on the other hand, are extremely fibrous and sharp shears are required to cut them. 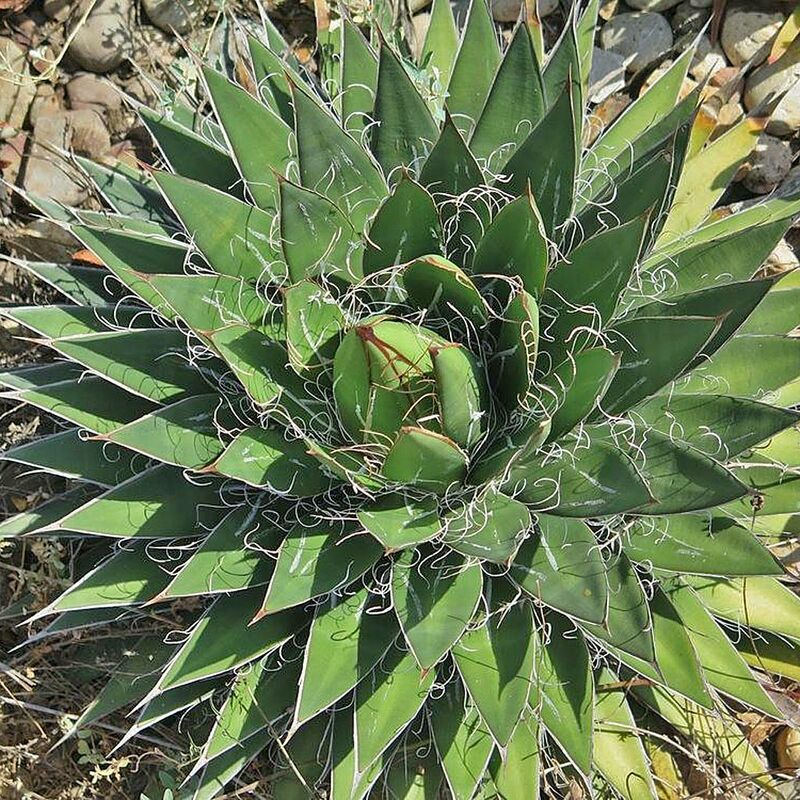 In one variety, Agave sisalana, the sturdy fiber is harvested to make sisal rugs. Though both groups send up tall bloom stalks to unleash large, exotic flowers of red, orange, or yellow to attract pollinators, you are far more likely to see an aloe in bloom. Aloes are polycarpic, meaning they can bloom repeatedly. An aloe growing outdoors will typically produce a flower once a year between December and May and they can be tubular or bell-shaped. Agave are monocarpic, which means there's only one chance for each plant to bloom. This once in a lifetime event is certainly a big deal, with the plant growing a bloom stalk up to 40 feet tall in under two months. The flowers can attract pollinators both big and small, but once the plant goes to seed it will slowly die. The dried, skeletal remains can last for years longer as a testament to the massive Agave. 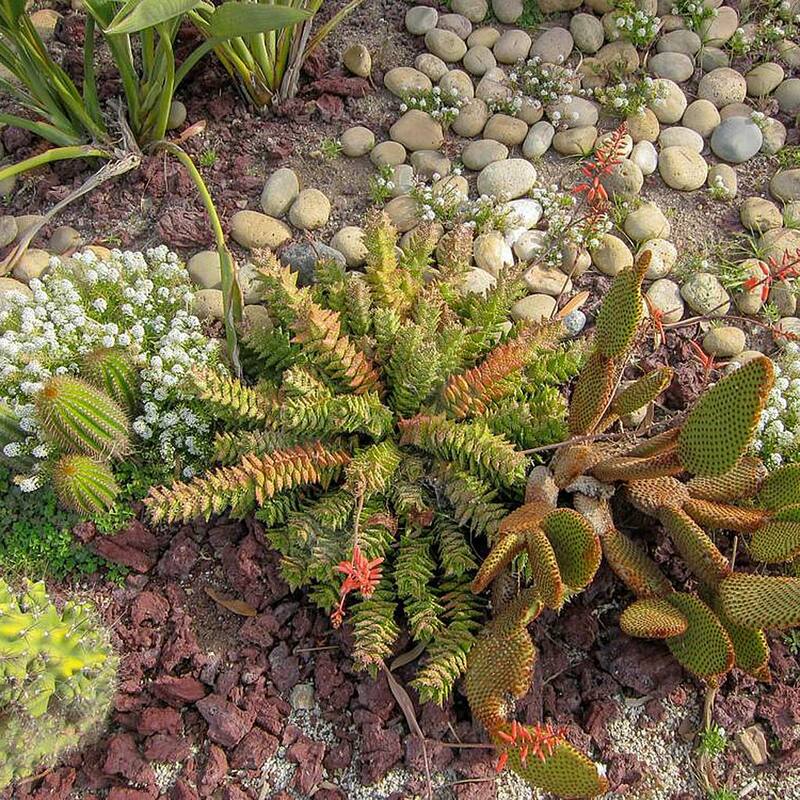 Most succulents use the warmer summer months to put on growth and then go partially or fully dormant in the winter. Agave falls into this seasonal growth pattern, but Aloe has a different strategy. For Aloe, the growing season comes in the cool months of winter and ends with a flower in late winter or early spring. As a grower, these patterns are important to understand because a plant has different care needs during its growing and dormant seasons. While a succulent needs access to nutrients and water in order to grow, a dormant succulent is not taking in water for growth and is more susceptible to rot. This is why, under outdoor, seasonal conditions, Aloe need supplemental water in the winter while Agave should be kept dry to prevent standing water.